Digital Marketing is full of acronyms, jargon and constant change. All IT giants have embraced it namely Microsoft, Google, Adobe and many others. The future for Digital Marketing is bright and promising. To help you get an insight in to this confusing yet powerful modern day marketing strategy – Learnpact is organizing an 1 day weekend workshop that aims to cover the fundamentals & Intermediate topics of digital marketing from search and mobile, to social & performance metrics. At the end of this 1 day program – you’ll get understand concepts and best practices which you may never properly understood before and, identify some areas you’ll want to explore more in-depth in future. All our workshops aims to stimulate, inform and inspire you so that you will finish the day with your head buzzing with new terminology, deeper understanding, ideas and strategies. Dipesh M is a Mixbound Marketing Evangelist and a Sr. Manager at Allied Biztech Solutions Pvt Ltd. He is Doubleclick / Google Adwords / Analytics / Inbound Marketing certified faculty with 8+ years of experience in Digital and product / service marketing. 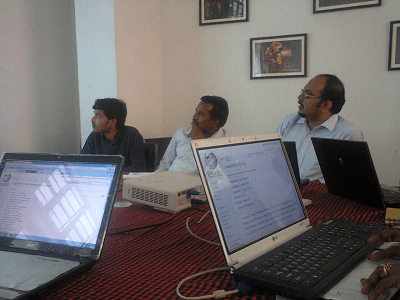 In classroom sessions – he has trained professionals from IIM / Amity / IIT / ISB in Digital Marketing. In corporate sessions – he has trained professionals from TCS, CTS, Birla Soft, Gov of Puducherry among a few. His style of training delivery involves informal question-and-answer sessions, practical workflows, in-depth case studies, group activities and personalized coaching. He is one of India’s 25 most sought after trainers when it comes to Digital Marketing. Who should learn Digital Marketing? Digital Marketing is not restricted only to Sales & Marketing Professionals or MBA grads. It’s important for each & everyone, whether you are a Business owner, a Working Professional, CXOs, Politician, Bureaucrat, Film Star or a Sports person to have a “structured knowledge” of using Digital Marketing for Personal Branding or improving the reach of your Business. What’s covered in the 1 day workshop? Why Content is the new SEO? Creative considerations: interruptive or permission-based? Duration: 10 AM to 5:00 PM including Lunch(vegetarian) & Tea. Venue: Learnpact Kolkata. Nopara(Near City Center 2), Off Bishwa Bangla Road, Kolkata, New Town, 700 157. Certificate: Certificate will be given to all attendees at the end of the workshop. Investment: Rs 3990. Book 10 days in advance & save Rs 490. Learnpact is one of India's Finest & Awarded Training Companies. Enrol for our Classroom & CloudVarsity courses with Certification guidance & Placement assistance. i just came across this event details. Are you planning to conduct it again? Hi Jyothsna, The next workshop for Digital Marketing @ chennai is happening on 21st Sep, Saturday 9:30 AM. Please visit http://www.learnpact.com/training-calendar.php for more details… see you at the event.